One day while driving around doing research at the Salt Lake City Cemetery, I spotted this beautiful headstone and memorial. It immediately brought tears to my eyes, and continues to every time I visit it. 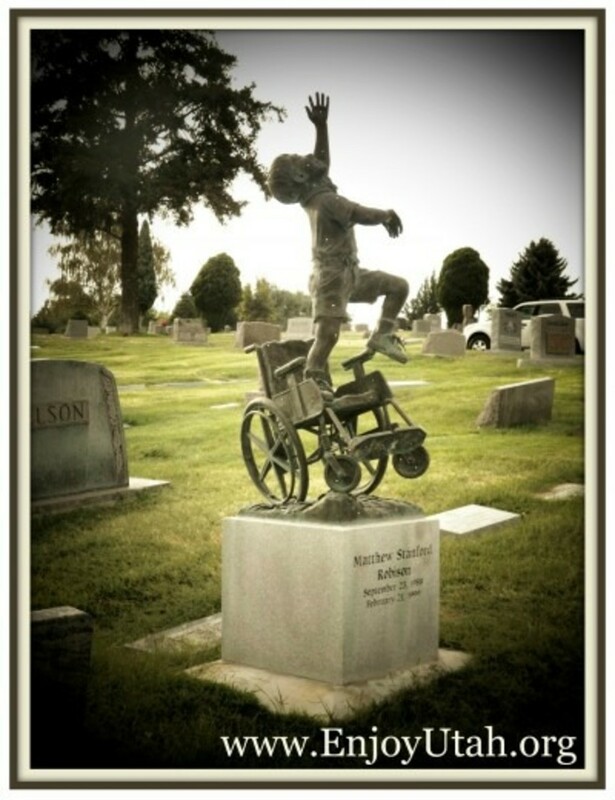 Never before had I come across such a touching statue that tells so much just at first glance. 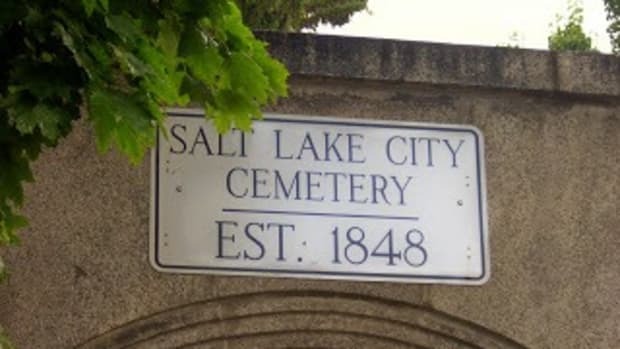 This quickly became my favorite place to drive past in the cemetery, and I added it to the list of graves to visit on my Salt Lake City Cemetery Tour. It speaks volumes about how in this life we may have to suffer through hardships and trials, but when we pass to the other side, our spirits are free from those earthly disabilities. 12″ pewter statures of this beautiful statue are available for a donation of $300 to Ability Found. Visit their website for complete information. 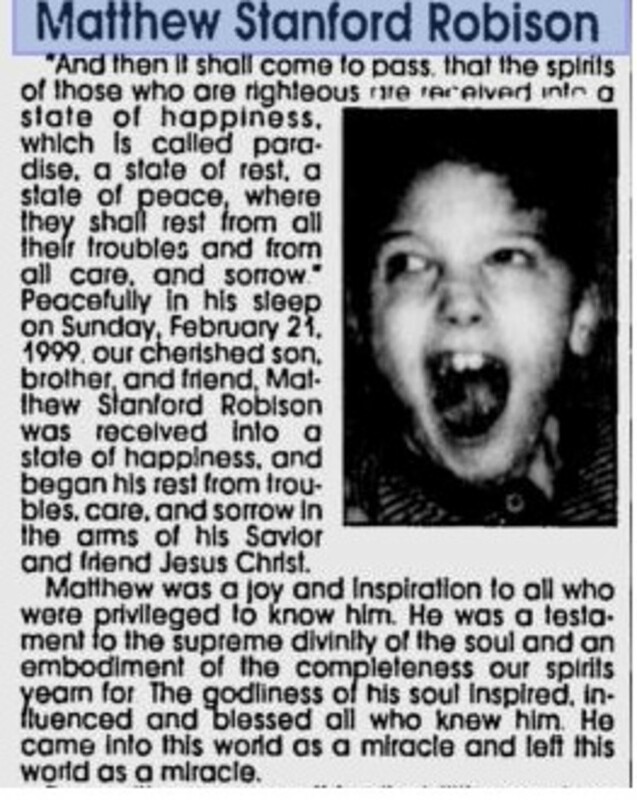 Peacefully in his sleep on Sunday, February 21, 1999, our cherished son, brother and friend, Matthew Stanford Robison was received into a state of happiness, and began his rest from troubles, care, and sorrow in the arms of his Savior and friend Jesus Christ. Matthew was a joy and inspiration to all who were privileged to know him. He was a testament to the supreme divinity of the soul and an embodiment of the completeness our spirits yearn for. The godliness of his soul inspired, influenced and blessed all who knew him. He came into this world as a miracle and left this world as a miracle. Born with severe earthly disabilities on September 23, 1988 in Salt Lake City to Johanna (Anneke) Dame Robison and Ernest Parker Robison. At birth, Matthew’s life expectancy was anticipated to be only hours long. However, fortitude, strength, and endurance, combined with the power of God allowed Matthew to live ten and one-half years enveloped in the love of his family and friends. His family was privileged to spend time with him here upon earth, to learn from his courage and marvel at his constant joy and happiness in the face of struggle. His family will be eternally changed by his presence and temporally changed by his passing. His presence inspired all those who knew him. He opened their hearts as well as their eyes. 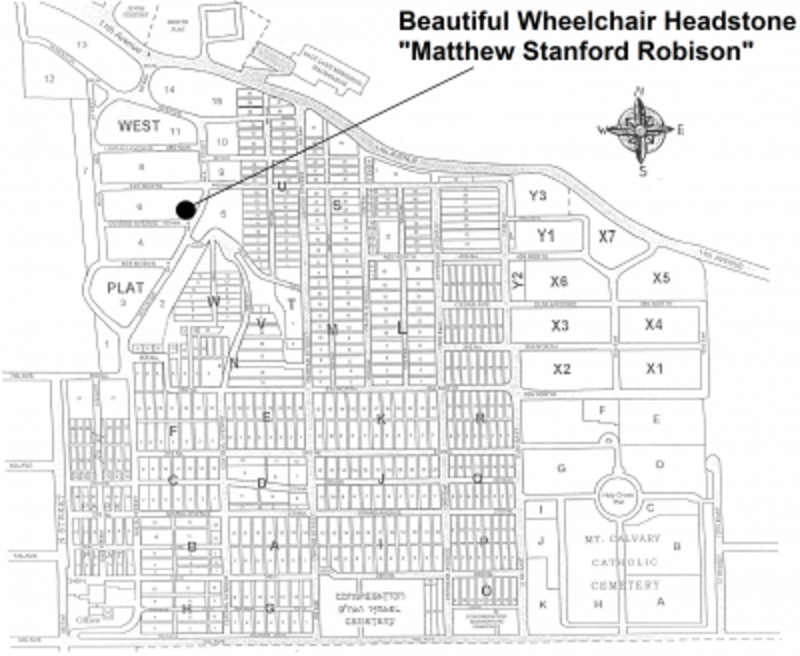 The memorial for Matthew Stanford Robison can be found at the Salt Lake City Cemetery. Click on the map above to enlarge. 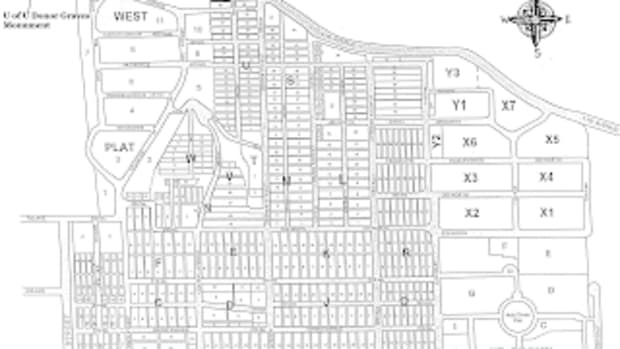 If you go in the main entrance of the cemetery on N Street and 4th Avenue, continue up Main Street until you reach Hillside. Take it to the right (East) and follow it up to Oquirrh Avenue. 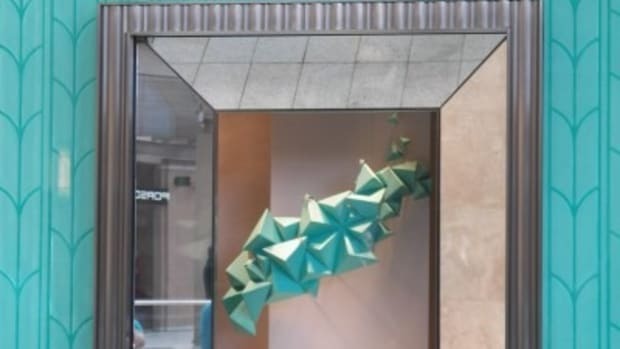 You will find it to your left (West) close to the corner. Inspired by their son, Ernest and Anneke Robison founded Ability Found in 1993. Ability Found provides the opportunity for everyone who is disabled to receive the right equipment to become productive members of society. Ability Found’s mission is to bring people, assistive equipment and expertise together to empower all individuals who are disabled. They change lives, give freedom and make miracles possible. 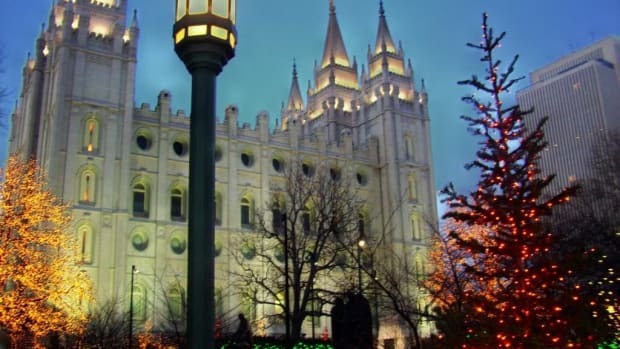 They were recently featured on a Mountain America Pay It Forward segment on KUTV 2 News. You can find out more about Ability Found, and how you can donate and get involved, on their website. You can also read stories of people they have helped on their Facebook page. 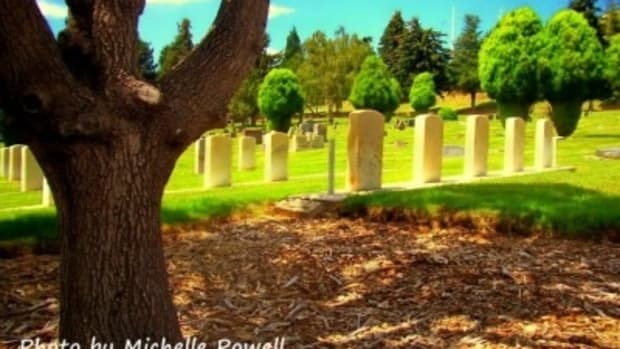 “The Sundance Kid” buried at the SL Cemetery? The Salt Lake City Cemetery is one of my favorite places to discover hidden treasures. 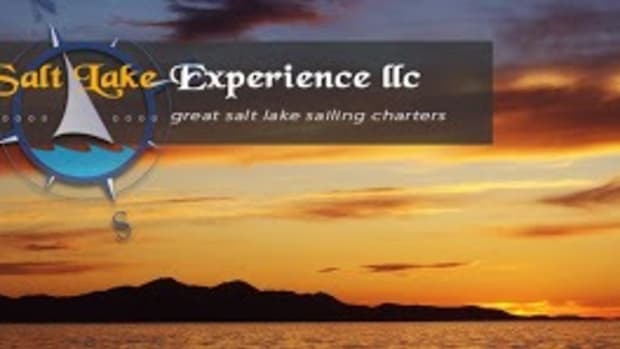 If you have ever driven past the Great Salt Lake, you have probably noticed the beautiful sailboats off in the distance. 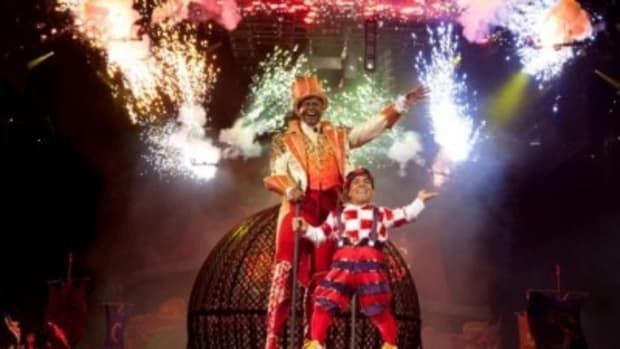 Ringling Bros. and Barnum & Bailey Circus is Coming To Salt Lake City! 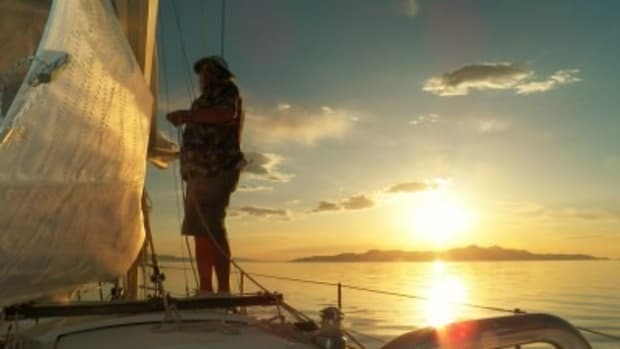 I got to experience a sunset sailboat tour of the Great Salt Lake with Captain JR of Great Salt Lake Experience.